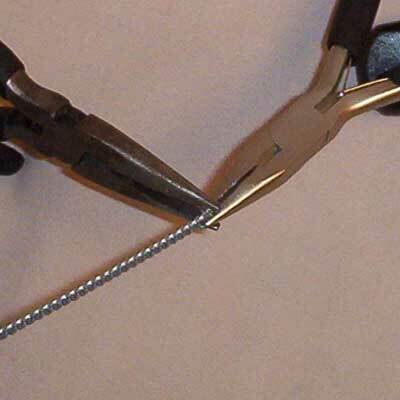 The best tool for cutting spiral steel boning is a wire rope/cable cutter. Tin snips/aviator snips or bolt cutters will also work. Use these tools in the same way as scissors to simply cut the boning to any length required. When cutting, be careful for bits of metal which may fly off. Due to this the wearing of safety glasses is recommended. 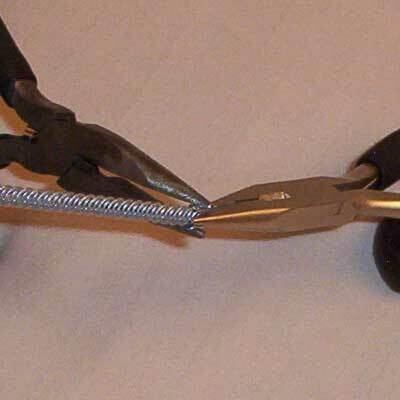 Two pairs of needle nosed pliers are required to attach the tips. Place a metal cap on the end of the spiral steel bone and lightly crimp the sides in with one pair of pliers. While still crimping the sides take the other pair of pliers and lightly crimp the flat side. Squeeze both pliers firmly ensuring you have properly set the entire tip. Check that the tip is firmly attached to the bone. If not, repeat the process. It works!! I’m using 11mm spiral boning so I had to find pliers wide enough to accomodate that width, but it works. Before I read this I was trying to close the top of the tip first. My bolt cutters don’t work to cut the boning though, nor do the tin snips but double pliers and a few twists weaken the metal enough to snip through with relative ease. I find bolt cutters quite easy to cut the boning but I only snip one little strand of the spiral boning on each side. That’s enough to cut the bone. The bolt cutters will struggle if you’re trying to cut across the whole bone in one hit. i have an appliance that i use to tip the bones. it’s the homepro device, and you buy the bone tipping buy to fit into it. i have the 5/6mm size and it’s great. they fit the metal tips from here. By trial and error, I discovered that regular pliers and vice grips also work to tip the boning. Use the pliers to gently squeeze the sides of the tip against the edges of the boning, and then close the vice grips over the flat part to crimp it on. 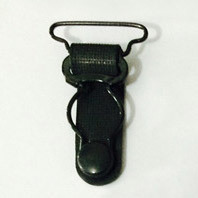 Works great, unless you don’t have the tip pushed all the way on and so it doesn’t grab the boning when it crimps. In that case, you’ve wasted a tip, because you can’t open it back up to try again! Oh, and I use wire cutters to cut the boning, but it can take a few tries, and it seems you have to have the angle just right.